Introducing Hollywood's first dedicated 12kW Tungsten Par. 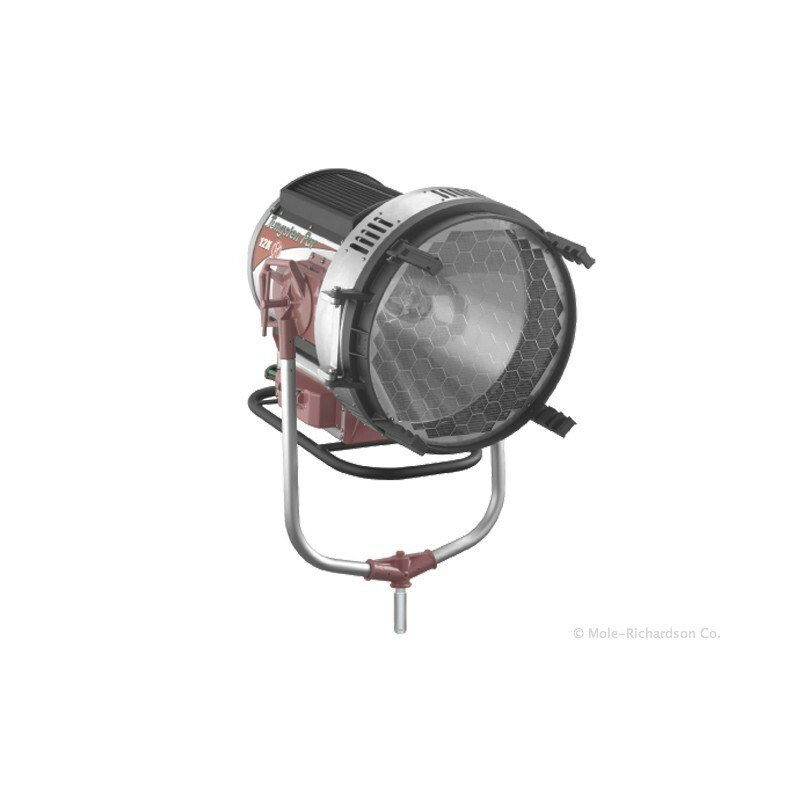 This fixture is based on the design characteristics of the popular DayLite HMI Pars, but using a conventional 12,000 watt incandescent source. 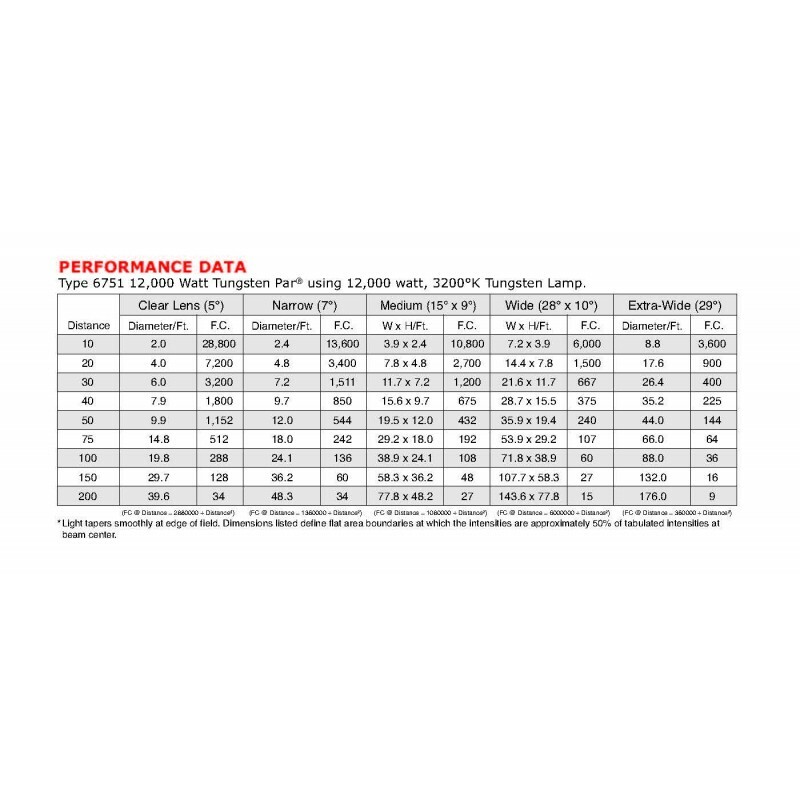 Unlike traditional 10/12kW luminaries, the Tungsten Par uses a specifically designed General Electric 12kW Tungsten Halogen lamp intended for Axial Operation. 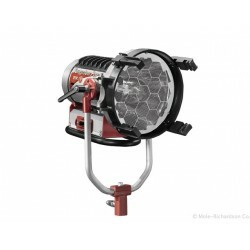 By placing the lamp on its side and using a highly polished Parabolic reflector, the Tungsten Par is able to achieve output comparable to a standard 24 inch 20kW Fresnel. 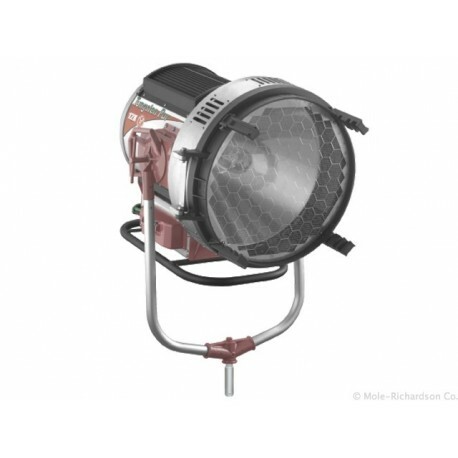 The fixture has a visual focal indicator to determine lamp position and, when used with the interchangeable lenses, the field of light can be fine-tuned for optimum beam control. Other features include: a trough skid for operating and safe transportation; an adjustable yoke pivot point; a locking, hinged front door for easy lamping; an onboard 12kW switch; and a 100amp stage pin "pig-tail". 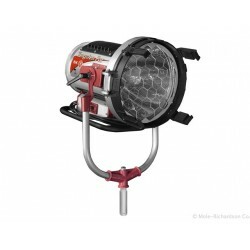 Standard on all fixtures are a stainless steel safety screen, spring loaded fourth accessory clip, and variable accessory clip positions located at either 90deg or 45deg. 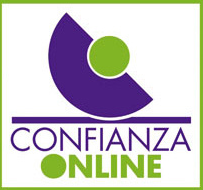 Compatible with all existing 21" accessories.